Jawa Motorcycles is all set to start its fresh innings in India with an all-new 300cc motorcycle that is said to be not too far from the classic that was on sale in the past, in terms of the design. 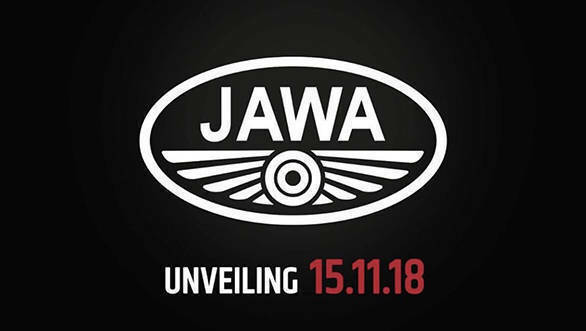 This all-new Jawa 300 will be unveiled on November 15, wherein the company might also reveal the prices and start taking bookings for the same. In order to create a hype around the launch of the Jawa 300, the company has released a teaser video where a Jawa 300 is shown being ridden on country roads. 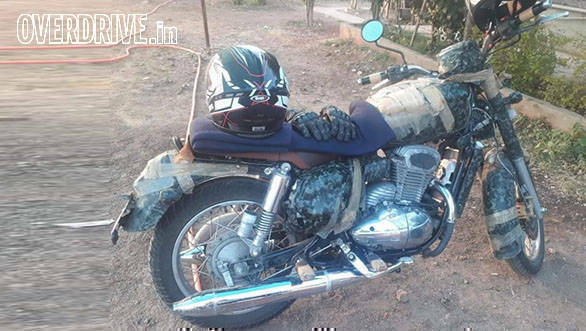 Though the Jawa 300 is not seen clearly in the video, we already have an idea of how it would look. Also, notice the distinct exhaust note that does sound similar to the classic. Little is known about the Jawa engine but the release that was shared earlier carried the essential specs. In sum, this is a 27PS, 28Nm single-cylinder engine displacing 293cc with liquid-cooling, fuel injection and a four-valve DOHC valvetrain. Classic Legends chief, Ashish Joshi told OVERDRIVE that the engine has a flat torque curve and will prove ultra-reliable. The company believes that these two elements are crucial for the new motorcycle to speak of the blend of classic and sporty traits that is characterised by the old Jawas. Classic Legends also mentions that the sound tuning has been a special endeavour for the engine. Since Jawa India originally only had two-stroke engines, creating a BS-IV compliant and BS-VI ready engine that speaks with that voice, was essential to the project. And the new engine promises to offer a delightful soundtrack. The latest set of spied images that have surfaced online do give us a strong idea of the production-spec design. Interestingly, the upcoming Jawa (Should it be called the Road king?) 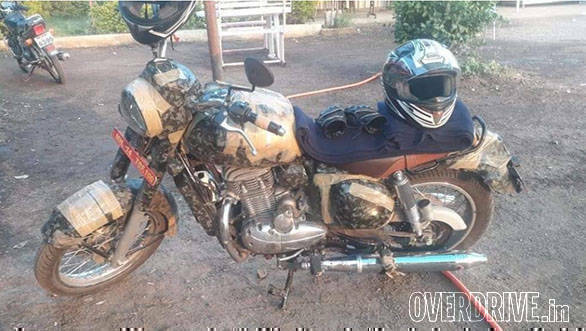 borrows heavily from the motorcycle sold in the yesteryear. Something that will attract a lot of Jawa purists as the company has not deviated away from the classic design but has added modern bits into it. The front gets USD forks while the rear gets a conventional layout. Instead of alloys, the 2019 Jawa motorcycle rides on spokes for the old school appeal. Further, the beautiful exhaust pipes flowing out of the 293cc engine. 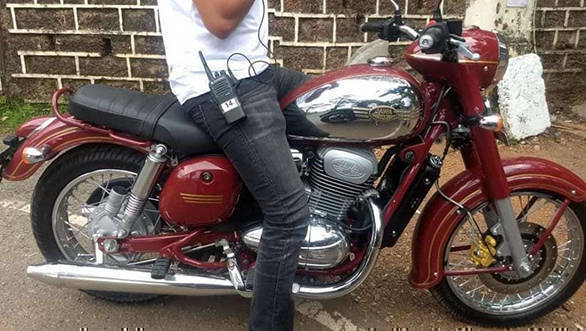 From these images, it is evident that the upcoming Jawa will be a retro-styled roadster. It surely looks promising for a 300cc offering. What needs to be seen is whether the new-age Jawa will take on the most popular classic brand sold in India, Royal Enfield. Though the Jawa is a 300cc offering while the Royal Enfields come in the 350cc range, the Classic makes 19.8PS and 28Nm. Prices? Officially, there isn't any comment but a 27PS, 293cc single should fall in the Rs 2.5 to 2.7 lakh ex-showroom price ballpark? We are expecting Jawa to select a slightly premium price rather than a Rs.2 lakh or similar price point. It is already known that Mahindra will be focussing on premium motorcycles. Two years ago, Classic Legends Private Limited (CLPL), a subsidiary of Mahindra and Mahindra, had acquired BSA Company for around Rs 28 crore. Mahindra and Mahindra owns a 60 per cent stake in CLPL. This acquisition would allow Mahindra to acquire or obtain licence of the brand and use the same for selling, marketing and distribution of motorcycles.